del ZIO Designs Interiors had done other design and decorating projects in our home. When my husband suffered sudden neurological impairment, we knew that this was the design firm that could help us. 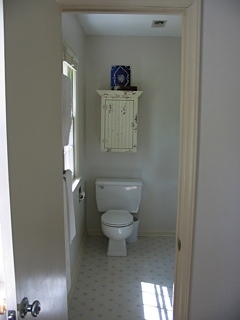 They designed and oversaw a renovation to make our upstairs Master Bath and Bedroom accessible and safe for my husband. 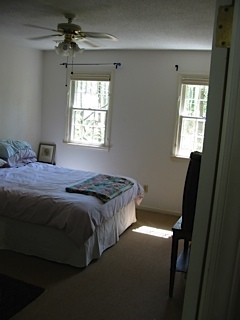 The rooms were dated anyway but we just hadn’t gotten around to modernizing them. After my husband recovered from his accident as much as he could and absolutely struggled within the spaces, we knew it was time to move on this project. The barrier-free shower design has improved our lives in the most elemental way; we don’t have to constantly worry about falls. 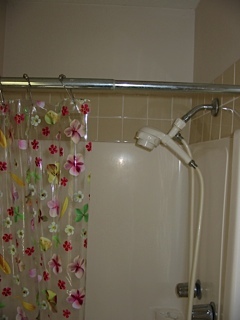 The grab bars are well-placed, and unobtrusively integrate into the design. The use of the existing space and anticipation of the construction issues which always arise when remodeling were creative and practical. 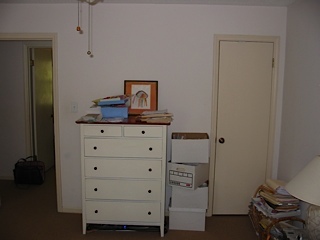 Our space is no longer stressful and furniture type and placement assist my husband in moving about the bedroom. The clever closet design makes it possible for him to actually use it. The renovation, albeit practical and accessible, is also very beautiful and would be appreciated by anyone, disabled or not. We love it and cannot express enough our appreciation to Linda and the Design Team.